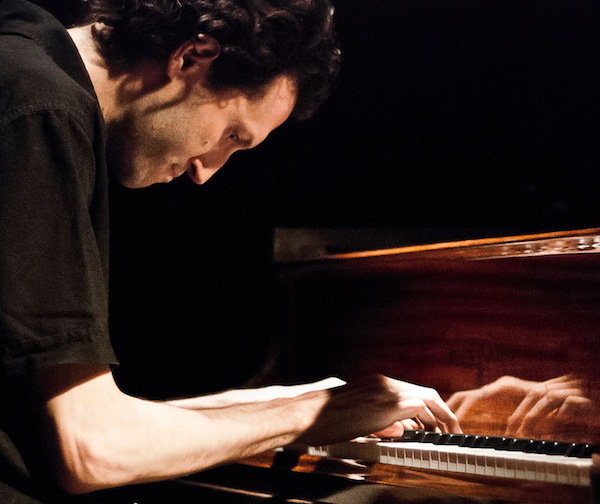 Emilio Teubal, Pianist and Composer from Argentina based in NYC for over 17 years. After 10 years of leading his owns bands, and three records released as a band leader, Mr Teubal presents his latest ensemble: a chamber-like ensemble consisting on Piano, Spanish guitar and Clarinet. The music written especially for this ensemble, draws from a wide variety of musical styles that are part of Mr Teubal cultural background: Latin-American Folk music, Tango music, Jazz, Free improvisation, Classical music and some hints of Middle Eastern music. Also this new music, filled with minimalistic and intimate elements, tend to be a depiction of the present life stage of the composer, filled with life style changes as well as several personal losses. Emilio Teubal Trio at Terraza 7 on Thursday, February 23rd , 2017 at 9:30 pm. No Replies to "Emilio Teubal Trio"